The Union Public Service Commission (UPSC) has uploaded the marks of recommended candidates for the Civil Services Examination 2018. Such candidates can check their marks at the official UPSC website - www.upsc.gov.in. The commission has released the cut-off and the final result earlier. The final result was released on 5th April. Read on the article below for steps to check out the final marks, final result and the cut-off. Go to the UPSC website. Click on ‘Marks of Recommended Candidates: Civil Services Examination, 2018’ link under the ‘What’s New’ section. Open the link for PDF file. The marks of qualified candidates with their roll numbers and ranks will appear on the screen. Marks are listed separately for the written test, personality test, and total marks. You can take a print of the file for future reference. 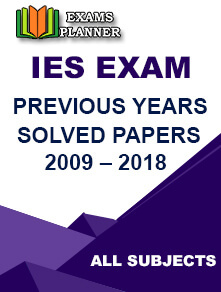 Click on ‘Final Result: Civil Service Examination, 2018’ link under ‘What’s New’ section. The result PDF will open containing the roll number and name of the selected candidates. The result has been declared after considering student’s performance in the written examination held in September-October 2018 and Interview & Personality Test held in February-March 2019. Check out the category-wise break-up of selected candidates here. A total of 759 candidates have been recommended for appointment to Indian Administrative Service, Indian Foreign Service, Indian Police Service, and Central Services (Group ‘A’ and Group ‘B’). Kanishak Kataria, a B.Tech degree holder from IIT Bombay, has topped the UPSC CSE/IAS 2018 exam. Srusthti Jayant Deshmukh topped among the female candidates with overall fifth rank. Candidature of 109 recommended candidates is provisional. The roll numbers of such candidates are listed in the official notification. 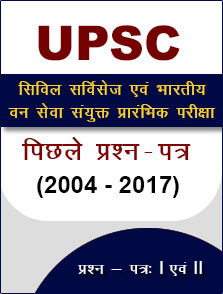 Go to the official UPSC website. Click on the link “UPSC Civil Services Examination 2018 cut off marks” on the home-page. The PDF file with cut-off details will open. The commission has announced the UPSC Civil Services Main exam result on 20th December 2018. The IAS Main examination 2018 was conducted from 28th September to 7th October 2018. Candidates who had qualified the Preliminary examination were eligible for appearing in the Main examination. The Preliminary exam was conducted on 3rd June 2018 and the result of the same was released in July 2018.